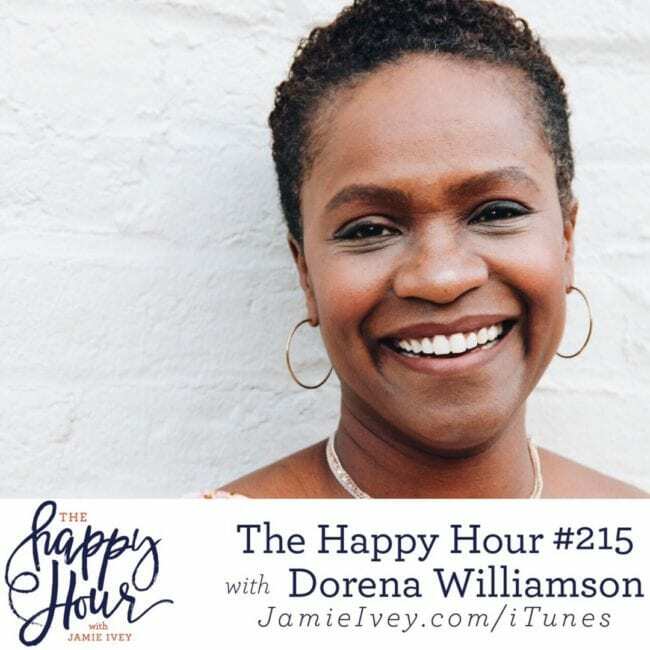 My guest for The Happy Hour #215 is Dorena Williamson. Dorena is a bridge builder and author of ColorFull, ThoughtFull and GraceFull, children's books that celebrate God's diverse kingdom. This series is inspired from twenty-three years as first lady of Nashville's Strong Tower Bible Church, a multiracial faith community Dorena and her husband Dr. Chris planted in 1995. Dorena and her husband have four wonderful children. Dorena and I start off the show talking about how a move to Nashville to further her husband Chris' rap career, ended up leading them to found a multi-racial church in a civil war rich town! Dorena shares how she had no idea that God would use all her years raising kids and leading worship to combine her passions and experiences into something bigger down the road. When we're itching to jump to the finish line because we want to know where God is leading us, Dorena encourages cultivating faithfulness, and describes how this can bring renewal of faith. Dorena and I then discuss the importance and value of having honest conversations about race, and recognizing the diversity of colors God created vs. being "colorblind". We also talk about how we as parents should be the first voices to talk about race with our kids, and the different ways we can make this happen. Friends, my hope is that through the show today you feel encouraged and empowered to have conversations about racial equality and bridge building. Check out the resources below, including Dorena's fantastic books, and connect with Dorena and me as well!